SmartMetric, Inc. has created a credit card with a built in-side the card, fully functional fingerprint reader. The reader is powered by an internal rechargeable battery allowing the card to function prior to insertion into a reader at Point Of Sale as well as ATM’s. Over a decade of research and development has gone into creating this amazing new biometric credit card that can assist card issuers in fraud mitigation while being a brand new card type that can be used to attract new customers. Current manufacturing capacity for the company’s biometric card is 1 million cards a month. This capacity can be increased ten fold reasonably quickly. The biometric card by SmartMetric meets ISO credit card standards. It uses an approved EMVco chip. 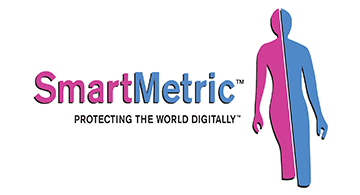 SmartMetric is a United States company with its head office in Las Vegas, Nevada and research and development center in Tel Aviv, Israel.